The Wisconsin Farm Bureau Federation is encouraging the agriculture community to celebrate National Ag Day on March 15. 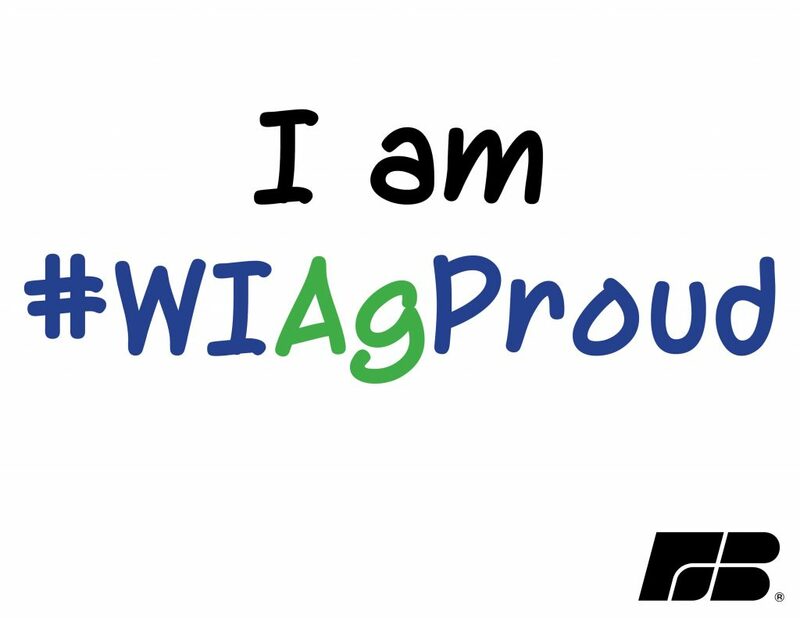 Wisconsin Farm Bureau is bringing back the #WIAgProud campaign for the third year to encourage all farmers and agriculturists to share what they do and why they do it on social media. They encourage sharing what makes you proud of Wisconsin agriculture by using #WIAgProud on Facebook, Twitter and Instagram. “Whether you grow, process, promote, or simply eat what comes from Wisconsin farms, we hope you will take time to share your connection to Wisconsin agriculture on March 15,” said Amy Eckelberg, Wisconsin Farm Bureau’s Director of Communications. By tagging your social media posts with the hashtag #WIAgProud, the Farm Bureau will be able to find and repost them. Five randomly selected people who use #WIAgProud will receive food vouchers donated by Culver’s. “What better time to share your involvement with agriculture than National Ag Day?” Eckelberg said. For more details and updates you can join the Facebook event or by visiting http://bit.ly/nationalagday. The Wisconsin Farm Bureau has created an entire toolbox for ‘ag’vocates to help celebrate and promote National Ag Day. View all the resources which include blog posts, social media posts, customizable media releases, a coloring page and advertisements at http://bit.ly/nationalagday. National Ag Day, organized by the Agriculture Council of America, is designated to help educate the world how food is grown, the role it plays in Americans’ lives and the U.S. economy and to highlight the various careers it involves.